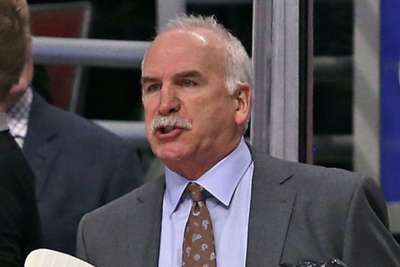 Joel Quenneville has been appointed as the new head coach of the Florida Panthers. The hiring comes less than a day after the Panthers brought Bob Boughner's two-season spell in charge to an end. Quenneville is the Panthers' 16th coach in their 25-year history. Florida's front office will hope Quenneville can break a playoff drought that has seen them fail to wain a postseason series since 1996. The 60-year-old coached the St. Louis Blues from 1996-97 to 2003-04, the Colorado Avalanche from 2005-06 to 2007-08 and the Chicago Blackhawks from 2008-09 to 2018-19. In that time, he won three Stanley Cups with the Blackhawks (2011, 2013 and 2015). "Joel is a three-time Stanley Cup champion head coach who will be a transformative leader for the Florida Panthers franchise," general manager Dale Tallon said in a statement. "We've seized the opportunity to add one of the most successful head coaches in hockey history, and we're thrilled that Joel has agreed to take on the challenge of leading our promising young team. "I've worked with Joel previously and have seen first hand how his passion for the game, head-coaching experience and leadership can impact an organisation. "Joel will accelerate our growth into a club that qualifies for the playoffs consistently and competes every year toward our goal of winning the Stanley Cup."